Sportspages has taken a look at BBC’s Sports Personality of the Year candidates since the programme began in 1954. The runner, Sir Christopher Chataway won it that first year. We’ve delved into our archives to detail a winner from each decade. Since all were worthy victors in the years that they won, our selection of individuals has been fairly arbitrary. Almost all could have caught our attention. We’ve tried to be fair (in sport?!) and picked out a sports personality from different sports over the years. We start with Jim Laker, who won Sports Personality of the Year in 1956 for his record-breaking number of wickets taken against the Australians in that year. In the 4th Ashes Test, at Old Trafford, Laker was the first bowler in history to take all 10 wickets in a test innings. 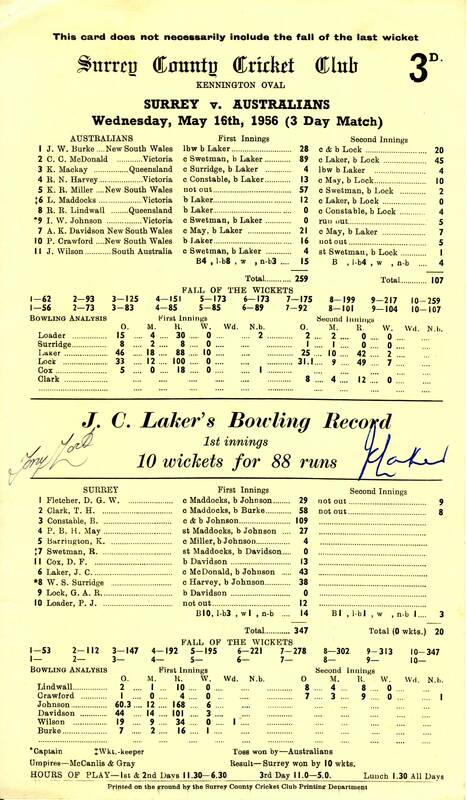 In fact Laker took 19 Australian wickets for 90. He bowled 9 for 37 in the first innings; 10 for 53 in the 2nd Innings. 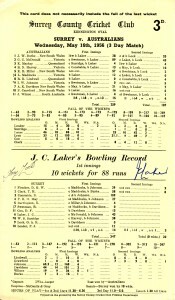 Jim Laker later went on to set the record of the most wickets taken in a 5 match Ashes series (admittedly, a niche area): 46, a record still held today. 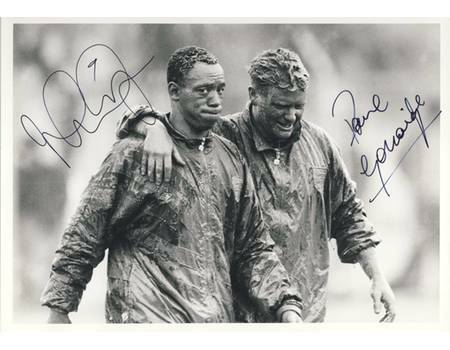 In the 1960s our attention turns to Sir Henry Cooper, the only British boxer ever to be knighted…yet. He was BBC Sports Personality of the Year in 1967, having been unbeaten throughout that year. 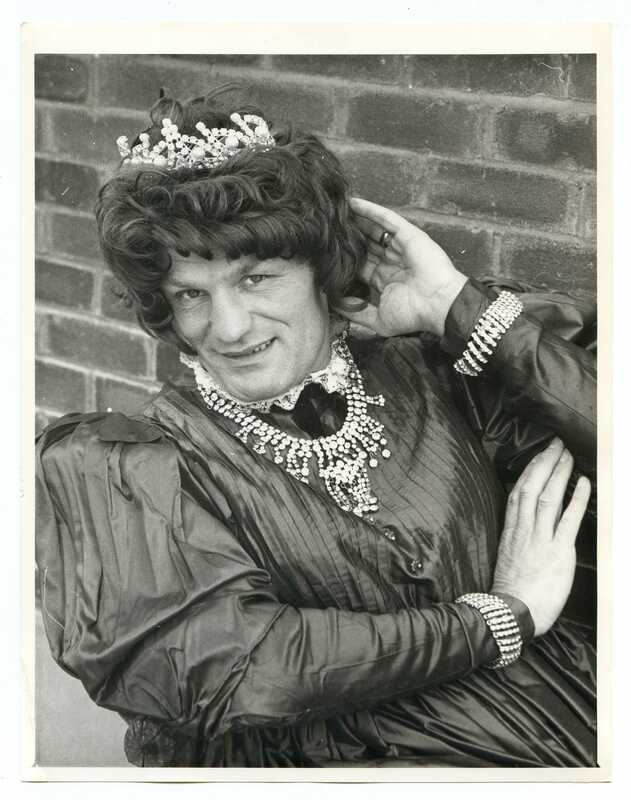 We may have fond and more recent memories of him in Brut aftershave commercials and hamming it up in pantos and chat shows. He also had an exceptionally long career as a successful boxer from 1954 – 71. He won 40 of his 55 contests, 27 of which were knockouts. Cooper was legendary for his very powerful and very fast left hook. 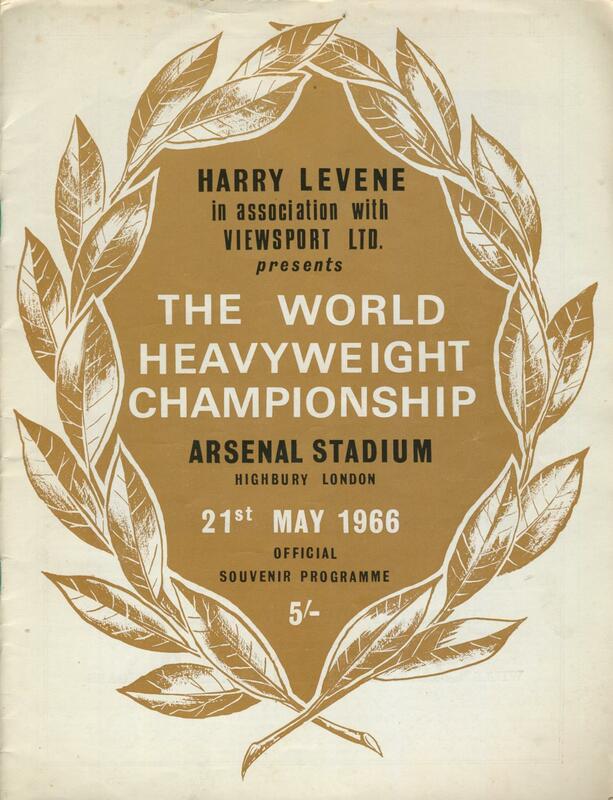 It was called ‘Enry’s Ammer’ and was most famously used against Muhammad Ali in both of their hugely publicised fights in 1963 and again in 1966. 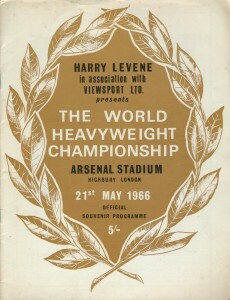 As well as Henry Cooper’s boxing achievements, he was also the first sportsman to win SPOTY twice – he won the award again in 1970. We come to Dame Mary Peters in the 1970s. 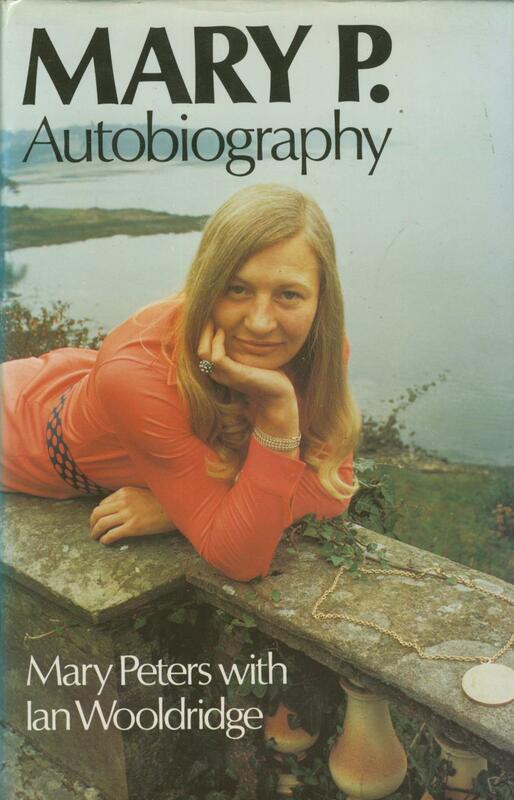 She won SPOTY in 1972 after her triumphant gold medal in the pentathlon at the 1972 Olympic Games in Munich, where she narrowly beat the local favourite. Mary Peters came from Northern Ireland and was a ‘war horse’ in athletics. She represented Northern Ireland at every Commonwealth Games between 1958 – 1974. She honed her craft in tough times. She recalled her training schedule every day, ‘I used to have to get two buses into Belfast City centre and then another to the track, carrying my shot, which weighed four kilos, and my starting blocks. The track was full of pot-holes. It wasn’t the ideal place to come but it was the only place we had’. The 1980s offers us almost too many fine candidates from which to choose. We could have concentrated on Beefy Botham. Unsurprisingly he won Sports Personality of the Year in 1981. There was Daley Thompson too, Torvill and Dean, Nigel Mansell and Sir Nick Faldo among others. But we wanted to share the love among sports and also to honour a fond favourite of ours: Steve ‘Interesting’ Davis! 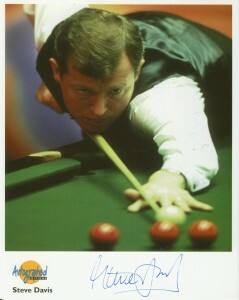 Davis was the first player to complete snooker’s triple crown in a single year to win the World Championship, the Masters and the UK Championship won Sports Personality of the Year in 1988. He went on to win the world championships six times in total. Steve Davis was ranked no. 1 in snooker for seven consecutive seasons and his 1985 World Championship final against Dennis Taylor pulled in 18.5 million British viewers. The Noughties was another decade packed with fantastically achieving Sports Personalities of the Year. They included David Beckham, Paula Radcliffe, Jonny Wilkinson, Freddie Flintoff, Sir Chris Hoy and Ryan Giggs. All were worthy winners. We have gone for a huge sporting figure, literally and figuratively: Sir Steve Redgrave. 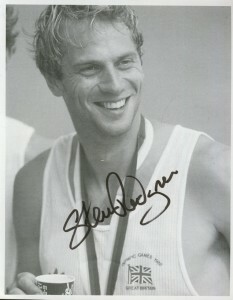 Steve Redgrave ended his career being the most successful rower in history. He won 5 successive Olympic Gold medals and 1 bronze. He was onto his third Olympics and 3rd Gold medal in 2000 when he won Sports Personality of the Year then.